Pasta bakes are a great for week-night dinning. 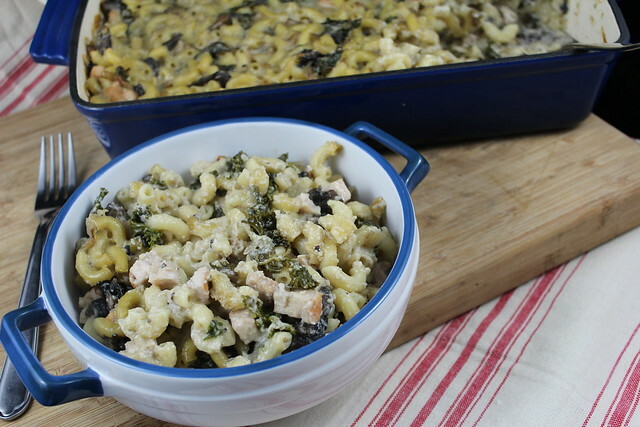 I have taken a classic macaroni & cheese recipe and amped it up a little by using smoked chicken, Gruyère cheese and kale, the green vegetable of the season. I have made this with cavolo nero and curly kale – both vegetables retain a semi-crunchy texture adding good contrast to the gooey sauce.